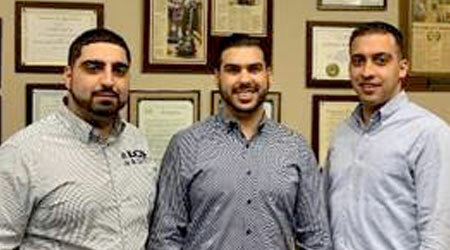 Daniel, Joseph and Domenico Lepore, sons of Joe and Maria Lepore, owners of LCS Facility Group, were selected as the recipients of the Next Generation Award by The Dutchess County Regional Chamber of Commerce. LCS Facility Group is the region’s most experienced and largest provider of commercial cleaning and facilities management solutions. The three sons will be honored at an awards dinner and celebration at February 2, 2019 at The Grandview in Poughkeepsie. Daniel, Joseph and Domenico were selected for this award by the Dutchess County Regional Chamber of Commerce in recognition of their ability to stand the test of time in working within a family owned business which is passing successfully down to the next generation. LCS Facility Group began with Joe Lepore’s dream, vision and old-world work ethic more than 20 years ago. The company has grown rapidly into a dynamic business providing commercial cleaning, facility maintenance, landscape maintenance and construction services to businesses located throughout the tri-state area of New York, Connecticut and New Jersey; Napa, California and San Antonio, Texas. LCS now employees over 400 employees. Daniel, Joseph and Domenico have all inherited their parents’ vision, passion and drive, continuing to make LCS the incredible and successful business it is today.